Apartment Building Replacement Costs Rising: lumber back to housing boom highs, growing labor shortages. Click on chart for full size image. 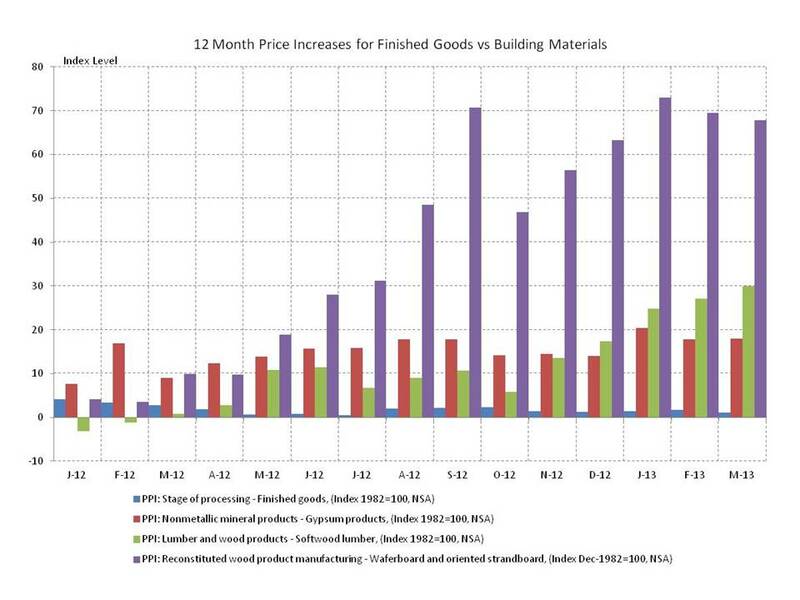 Bill McBride over at Calculated Risk has a piece showing the longer term price history for Random Length Lumber (2x4s only, both cash and futures) and a link to a pretty depressing Vancouver Sun article on pine beetle devastation in BC (Spoiler alert: the Continue reading Apartment Building Replacement Costs Rising: lumber back to housing boom highs, growing labor shortages. Posted on April 15, 2013 April 17, 2013 Categories Apartment Building Investment Cycle, Multifamily Design & Development, Multifamily InvestmentsTags Apartment Building Investing, apartment building investment cycle, apartment construction, Calculated Risk, Cap Rates, construction costs, employment, HMI, Housing Market Index, labor, Lumber, material prices, NAHB, replacement cost, softwood, supplyLeave a comment on Apartment Building Replacement Costs Rising: lumber back to housing boom highs, growing labor shortages.